The open house is a critical moment for both buyers and sellers. Knowing what to expect will help you make the most of it either way. It can feel overwhelming, but take a deep breath and get to know the process. 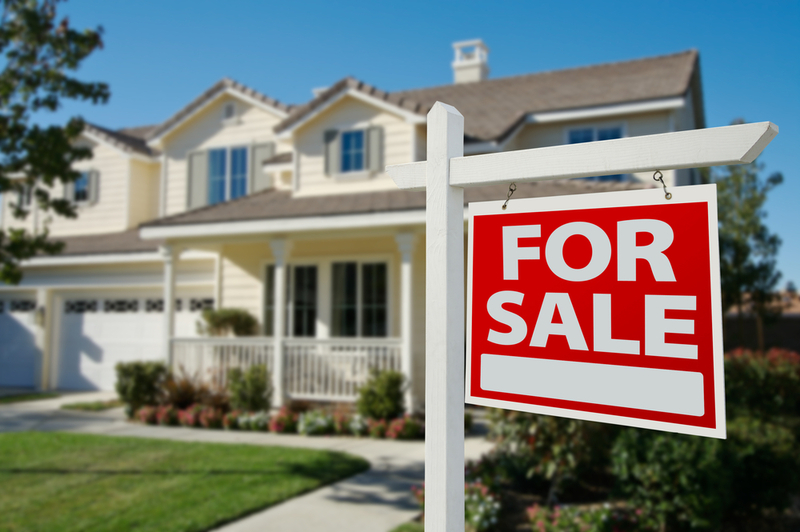 If you’re selling a house, your goal is most likely to sell it as quickly as possible. It’s important to increase its saleability however you can. Your open house events are a key moment in this process. Your home needs to look its best. Keep it cleaned and clutter-free. Vacuum and dust. Keep your beds made. Open all your curtains and blinds to let the natural light in. Clear away all personal items and keep your kitchen spotless. Check your bathrooms and make sure no one has left any unpleasant surprises. The outside of your home is the first thing they’ll see. Make sure you give them the best impression. Keep your lawn mowed, trees and bushes trimmed and leaves raked. Don’t leave any clutter or debris in your lawn. Keep your sidewalks clear and make sure you don’t have any visible ant beds or other issues. Examine your house for any maintenance or repairs. Consider adding flowers. Inside your house needs to be as generic as possible. Any religious or political items need to be packed away along with personal photos and your family name. You want potential buyers imagining themselves in the house, not you. Kids and pets are a distraction to buyers. Make arrangements for your kids to visit other family or friends. Find a place for your pets to stay during home showings. You want buyers to focus on your house. Make sure to get rid of the litter box, toys, or any other indication a pet lives there. Unless you don’t have a real estate agent to host your open house, it’s not a good idea for you, the seller, to stay around. You may think you could be helpful and answer questions, but the reality is buyers may feel uncomfortable. They typically won’t say what they’re thinking if the homeowner is there. Your agent won’t be able to get an accurate reading of what they’re thinking. This could harm you in the negotiations. There’s no need to dress up, but keep it reasonable. Remember, you’ll likely be doing a good amount of walking, so wear comfortable shoes and light, loose clothing. You may be walking up and down stairs and in and out of rooms. But you also want to be considerate of your host and other guests. Before you arrive at the house, take a drive around the neighborhood. Notice the condition and styles of other houses. Take a look at the upkeep of the surrounding homes and lawns. Notice the layout and location in relation to other key places you’ll frequent such as grocery stores, schools, and shopping strips. Keep your eyes open for maintenance issues inside and outside. Look for peeling paint, missing shingles or other roof issues, and take note of the condition of the siding. Remember as you enter the home, it has been presented in its best light, so keep a critical eye. Look for issues that may indicate damage or structural issues. This would include uneven floors, cracks in ceilings or walls, water stains on floors, ceilings, or walls, mold, and mildew, and unpleasant or musty smells. Take a look out all the windows, examine the storage space, and check to see all water faucets are working properly. The questions you ask are key to knowing if it’s a good match for you. The agent is there for a reason and is knowledgeable. Pick their brain! You will want to know some basic key information such as: the year the house was built, a record of renovations, the listing date, and if there are any current offers. Ask about HOA fees, special assessments, and other fees. Find out about the local schools and community events. Get the agents insight on the neighborhood and community. Request permission first, but plan on taking photos and videos of your tour. Make sure to get good shots of any issues and features you like and dislike. As you go through, take notes in a notepad. This will give you fuel for negotiations later on and make it easier to remember each house when it comes to decision time. Be kind and polite to your host. Greet them with a smile as you sign in. Your goal is to obtain as much useful information as you can from the tour. Keeping a good rapport with the showing agent will ensure the best experience possible. Respect the house and property. Feel free to look in drawers, cabinets, and closets, but don’t rummage around in their stuff. 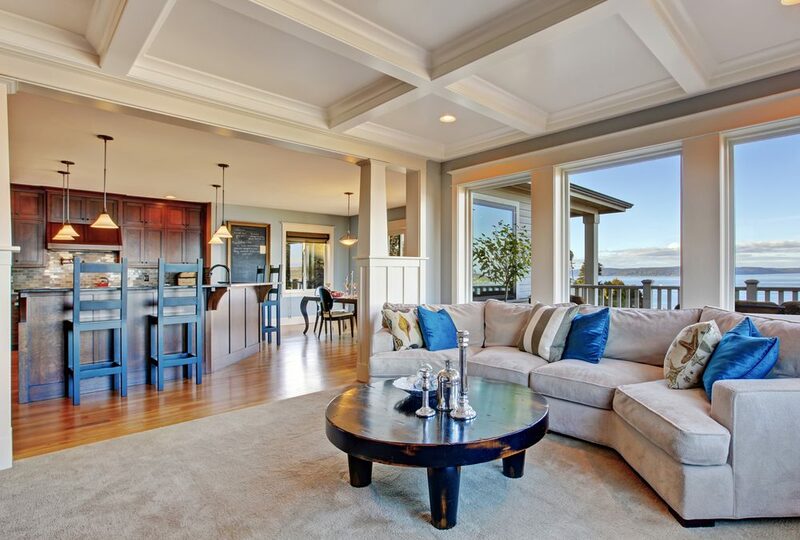 Whether buying or selling or both, open house events are a critical component of the process. If you’re selling, it’s your moment to let your house shine. If you’re buying, it’s your opportunity to gather good information so you can make the best decision. Either way, it’s important to make the most of each event. Get started with this guide to open house events for buyers and sellers. Contact Us to learn more about hosting and attending open house events or for assistance buying or selling a house. Adding value to your home through home renovations is a tricky endeavor. Few renovation projects provide a 100% or better ROI. Some are much better than others, however. Your goal, then, is to increase your chances of selling your house while keeping your cost at a minimum. If you would like to sell your home within the next year or two, you’re not wanting to spend a ton of money on renovations. The renovations you do make need to increase your probability of selling while keeping your cost down as low as possible. One great way to accomplish this is to focus on renovations that provide the best ROI. Consider the following best-value renovations. When you think of making home renovations, your attic is likely the last place you’d think about renovating. 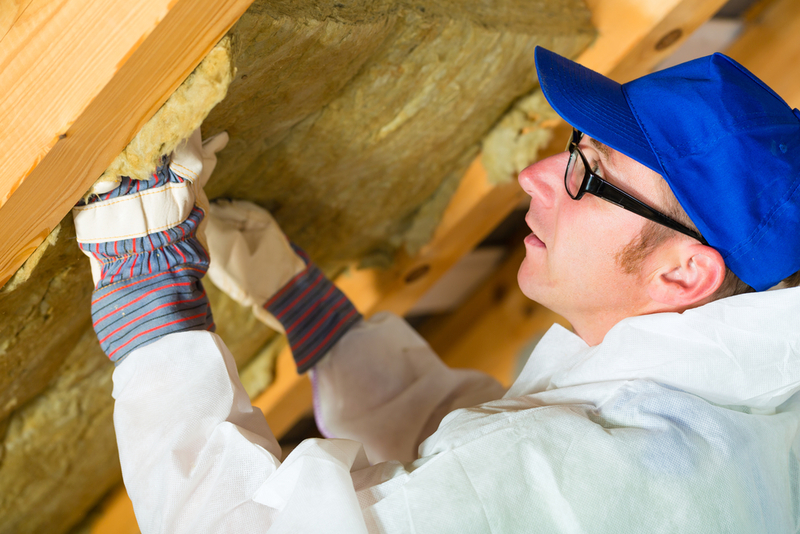 However, installing fiberglass insulation in your attic not only yields the best ROI in resale value, it will also save you money on utility bills while you live there. Give your front door an upgrade. Your front door is a huge part of your curb appeal. It’s also a great upgrade to consider as it will return around 90% of its value when you sell. In 2017, the most popular front door upgrades are a steel door or stone veneer. Talk to Houston area realtors to see what type of door is best in your area. Pretty much any improvement in energy efficiency is a popular selling point in the current market. Consider replacing all your windows and doors with better insulated, more energy-efficient models. You will notice lower heating and cooling costs and often even lower lighting costs. Like your front door, your garage door is another opportunity to boost your curb appeal. Consider replacing it with a newer, more attractive wood or carriage-style garage door with plenty of windows. It is one of the first things people see when they drive past your house and it needs to pop. Outside code access is another feature to make sure you have. Upgrading your indoor and outdoor lights is another great renovation to consider when selling your home. Install dimmer switches in living areas and bedrooms. Upgrade your older light fixtures with current styles. Make sure your outside grounds are well-lit with lights on motion sensors. Switch to LED lights and enjoy the monthly savings on your electric bill. The simpler, least involved projects typically provide the best return on investment. Renovations on the outside and improvements in energy efficiency top the list of best value home improvements. Use this guide to get started with home renovations for your best chance to sell in today’s market. The Lippincott Team is your Cypress and North Houston area real estate resource. For more information on renovations to improve your home value or for help buying or selling a home, Contact Us. We live in the age of do-it-yourself. The internet is ripe with tips, how-to’s, and essential guides to just about anything you’d ever want to do. Sometimes, though, it’s still better to work with a professional. Many times you don’t have the time and/or resources to do it best, and the task is important. This is exactly the case with selling a house. You may leave too much on the table with a DIY approach. Agents have all the information you need to price your home for selling. They have access to nearby competing listings and the most recent information about sales of comparable homes at their fingertips. Part of their job is keeping up with this information so you can make sure your home is priced right to sell. Agents not only have all the information for pricing your home, but they’re also professional marketers. And they’ll market your home aggressively. They’ll know staging techniques they can recommend to enhance first impressions. They’ll also make sure you get the most out of your listing with professional grade photos. Finally, they’ll show your house to potential buyers and give a professional, compelling presentation of why your house is the one to buy. Nothing wastes your time more than spending it with buyers who have no chance of buying your house. A good agent will vet all prospective buyers so you don’t waste time on anyone who’s not a serious candidate. This alone will save a lot of time in the selling process. You’ll likely encounter all manner of negotiating tactics as you try to sell your home. Everything from bidding wars, cash offers, and more cutthroat antics. Then you have the appraisals, inspections, and financing to navigate. You may have some unexpected repairs or issues on the buyer side that end up changing the game. Your agent will help you resolve every issue, complete the mountain of paperwork it requires, and move you along to closing. They are skilled at drawing up win-win purchase agreements and making sure you’re getting the most possible for your home. Realtors may not be experts in every part of the selling process, but they know someone who is. They’re connected to quality professional inspectors, contractors, photographers, mortgage brokers, real estate attorneys, home stagers and more. They know all the people you need for whatever contingency that may come up in the process. When you add to that their vast real estate knowledge and expertise, you’ve maximized your chance to sell your home as quickly as possible AND at a reasonable price. At the end of the day, you want to sell your house AND get the most you can for it. In other words, you want to maximize your return on investment. There’s really no better way than working with a professional agent who has the knowledge, experience, and connections you need to stage, price, negotiate, and sell your home. Don’t leave it to a DIY guide, but consider these tips on why use a realtor to sell your home. Get the best bang for your buck with an agent today. For more information on working with a realtor or for assistance buying or selling your home, Contact Us. Buying your first house is exciting and scary and wonderful, all at once. There are so many things to consider, review, and decide on. It can be overwhelming. It is, after all, one of the biggest investments you’ll ever make. You want to make sure you’ll make a good decision. 1) Get pre-approved before anything else. A pre-approval letter shows sellers you’re ready to put in a serious offer. Many won’t want to move forward if you don’t already have one. Before even looking at houses, get a pre-approval. Ask for referrals and recommendations for reputable mortgage brokers and interview several. You want to work with one that doesn’t hesitate to give you transparent information about their fees and processes. You want to know they have your best interest at heart and will research terms and rates from several lenders. 2) Hire an agent with experience. We live in the DIY era, but some things are still better with professional help. Experienced Houston area realtors bring a wealth of information and resources to the table. They have relationships you can leverage for your benefit. They will help you navigate through the confusion of buying a home and make it an easier, smoother process for you. They’ll help research other comparable listings, give you advice on making offers, and handle the negotiations for you. 3) Be prepared to negotiate. While we’re on the topic, be ready for negotiations. Lean on your agent. He or she will know what kind of market you’re currently in and how best to handle the negotiations. Try not to look at other listings. Sellers can list a home at any price they want. It doesn’t really have any bearing on the final sale price. Instead, let your agent take a look at comparable sales and pending sales. They’ll look at homes in similar condition and location that have sold in the last 3 months. A good agent will manage your expectations and give you an idea of what to expect. 4) Hire an experienced home inspector. There can be many issues hidden from the untrained eye even in the newest of houses. An experienced inspector will protect you from walking into something you’ll soon regret. He or she will bring to light problems that could cause you unnecessary stress and money later on. At worst, they’ll uncover reasons to pass on the house. At best, they’ll confirm your decision to buy. The inspection discoveries could also give you leverage in negotiating the best price. 5) Know when to hold and when to fold. Some issues you may find in the house may not be bad enough to warrant backing out. Minor aesthetic problems, needed upgrades, and small renovations may still be worth buying the house. They may also give you leveraging power when negotiating with the seller. It’s also a good idea to talk through your hopeful price and the highest price you’re willing to pay. 6) Consider HOA contract, fees, and property taxes. Request to see the HOA contract and make sure you’re comfortable with the deed restrictions and fees. You don’t want unexpected surprises once you’re all settled in. While you’re at it, research property taxes in the area. Again, you don’t want any surprises. 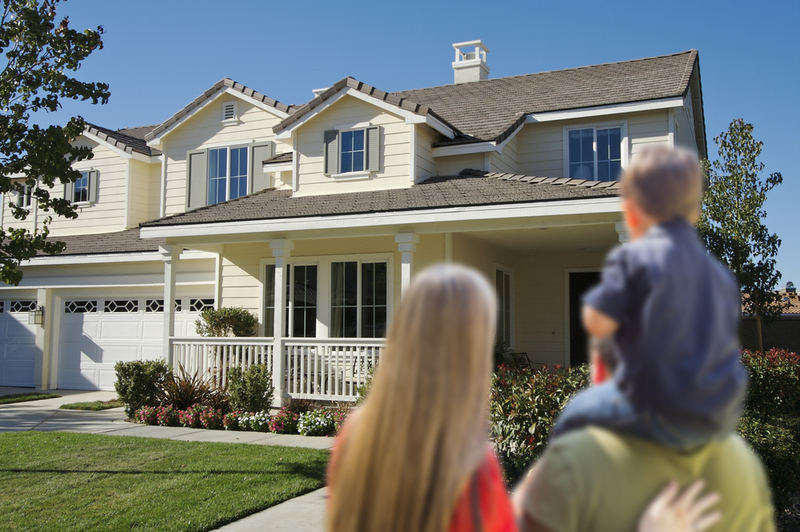 You’re not just buying a new house, but becoming part of a neighborhood. Try to talk to some of your would-be neighbors to get a feel for the culture and events. Make note of local grocery stores, restaurants, and other places you’ll visit frequently. Research utility companies, cable and internet providers, and local services you use. Try to envision day to day life in this neighborhood with these neighbors. Remember, you’re looking for the place you’ll likely call home for a long while. It’s important to take the time to ensure you’re making the absolute best decision. You don’t want to find out you actually regret your decision after it’s too late to change anything. Use this guide to the first-time home buying process to get started. Contact Us for more information on buying a new home or for other Cypress and North Houston real estate resources.